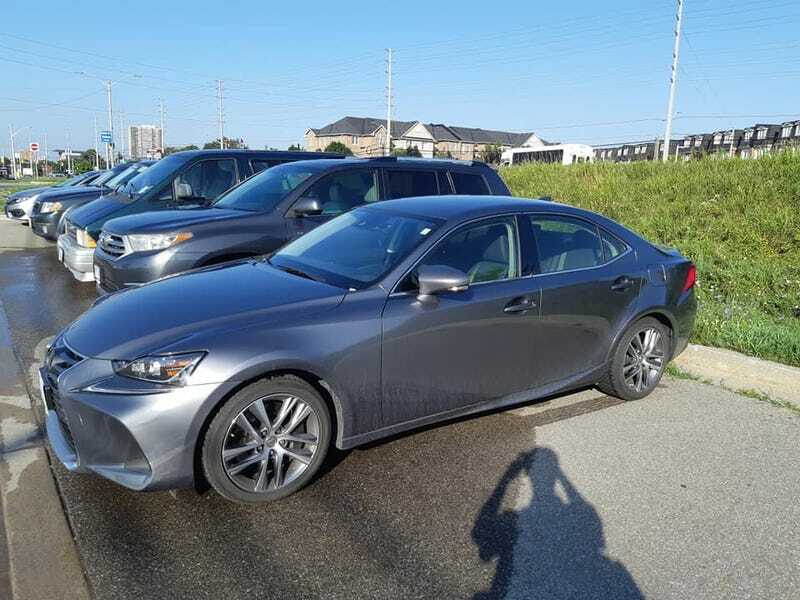 My 08 IS250 went tto lexus this morning for some recall work and some fluids changed (trans, diffs, power steering) and Lexus of richmond hill was kind enough to give me the keys to this thing. I like it a lot. 1: it feels like a more space efficent car. where as my 08 feels a bit fat, this one feels (and looks) much much more narrow. 2: the motor. this car has the venerable 3.5 V6, making 260 HP through a 6 speed box and AWD, and it MOVES compared to my 200HP 250. I like it! Makes a great sound track too. 4: gauge cluster looks so god dam classy. I know you can get this is the LFA TFT screen...but...IDK. the base gauges are pretty cool too. 2: they got rid of the nifty sunglasses holder in the roof. not a big thing. 3: no sun roof on the car I had. Over all, I like it. a lot. Is it enough to convince me to trade in my 08 and get it? if I had the coin, maybe. Its certianly a fantastic all around machine.